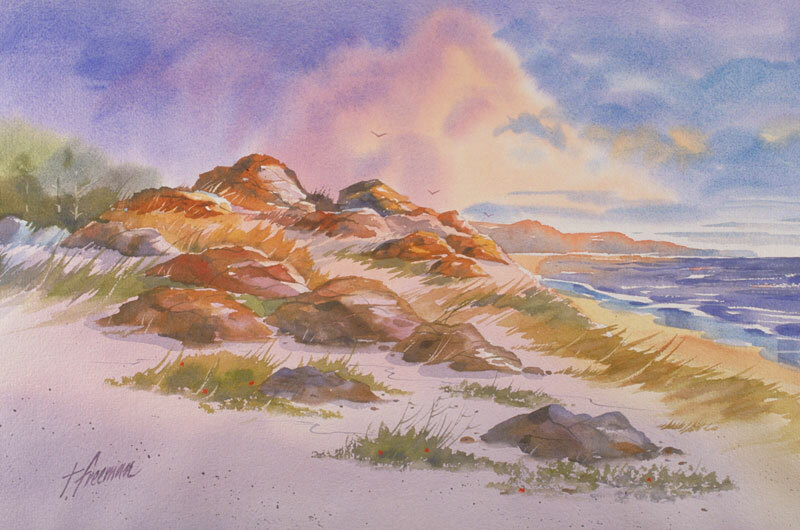 Thomas Freeman Original Watercolor Painting: "Offshore Breeze"
The grasses are pointing toward the ocean in this picture, consistent with an offshore breeze. It's a late afternoon sky, with purple and orange-tinted clouds. That's a little tricky in watercolors. The object is to merge the colors together without things getting out of control!